Sebastian’s tattoo incorporates a few very distinct elements. 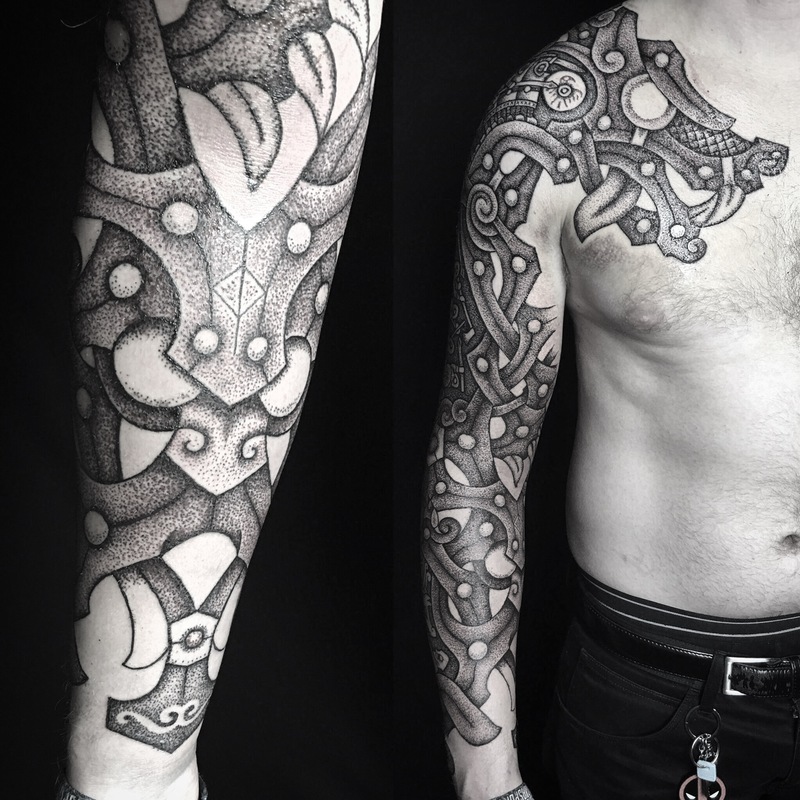 on the forearm, the Nordic thunder god, Thor. On the chest is the head of a wolf with a disjointed jaw made of coiling knots. This is reminiscent of how a silversmith in the viking age used the two dimensional representation of knotwork defying 3 dimensional logic. the original depiction is a side of image of a woman with interlocking arms. on Sebastian’s upper arm is a depiction of warriors preparing for battle, and just bellow it the warriors fighting and killing each other. in the tales the chosen warriors battle each day and rise again in the eve to feast all night. This training and feasting is to continue until the final battle. the twilight of the gods .